Hear out the explanation of your oven problems. Determine which oven parts are causing the problems. 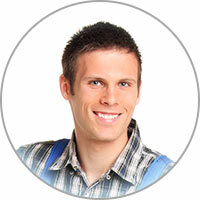 Evaluate the total cost for replacement oven parts and labor. 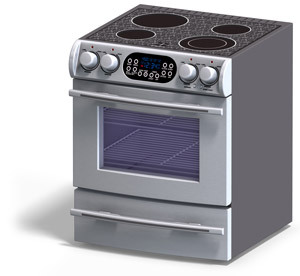 If you hire us for the job, our technician will also drive out and pick up the needed oven parts in Irving TX and return, install them, and test the oven to make sure it’s working again. We believe that the values we hold in providing a quick and affordable oven repair in Irving TX is what sets us apart from all the other Irving oven repair businesses. We hope that you will give us the chance to prove to you that our service really is second to none – you just have to make arrangements for your appliance repair! As you know, every oven has a thermostat. This is a tube that’s made out of narrow copper material, with a marginally thicker tube that is connected to the oven. There is hydraulic fluid in the tube. This fluid will expand when the oven gets hotter. This creates a bit of pressure on the thermostat’s activator, which causes the heating element to disengage until a certain lower temperature is reached. If your food is cooking unevenly, it may be because of a defective activator. If so, you will need to replace the thermostat.